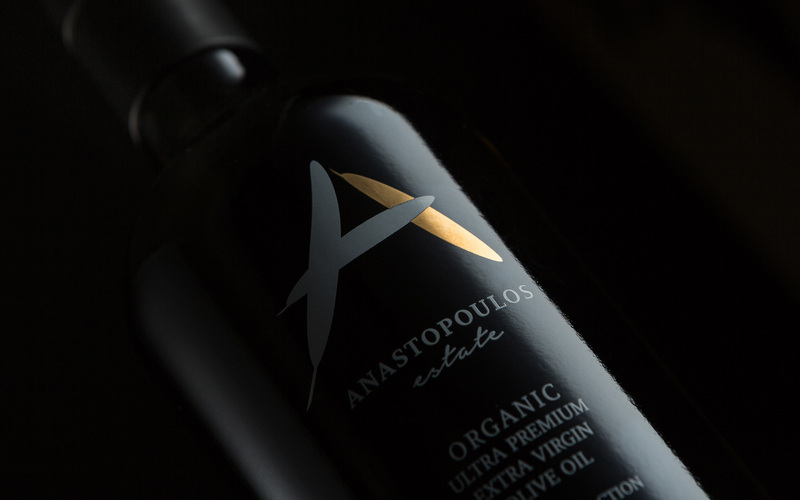 During recent years, Greek Olive Oil has witnessed an intense activity especially from brands that target the Export Market. 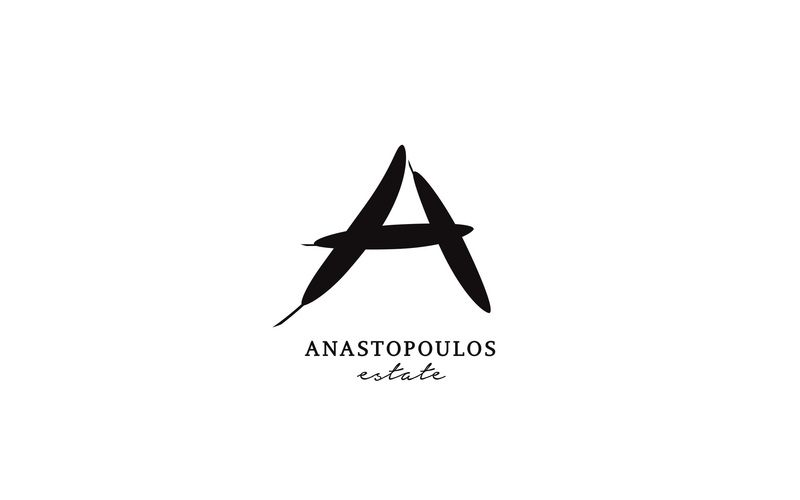 Anastopoulos Estate was such a brand, producing premium quality extra virgin olive oil and looking outside of Greece for growth. 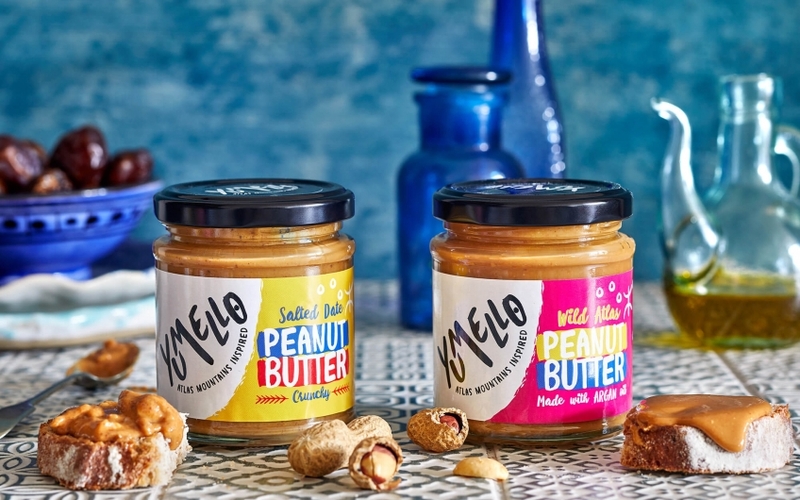 The challenge was to establish itself against a multitude of well-known as well as up-and coming brands – not only from Greece, but from places all over the Globe. 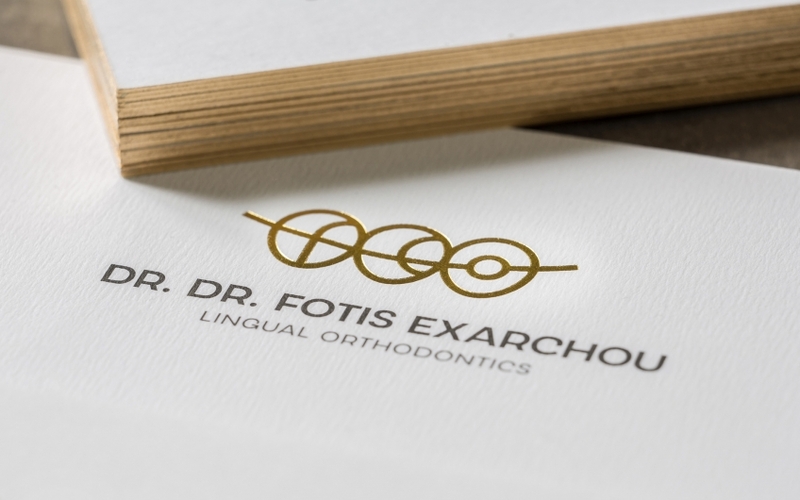 In this effort, the brand’s logo and visual language were called to play a key role. 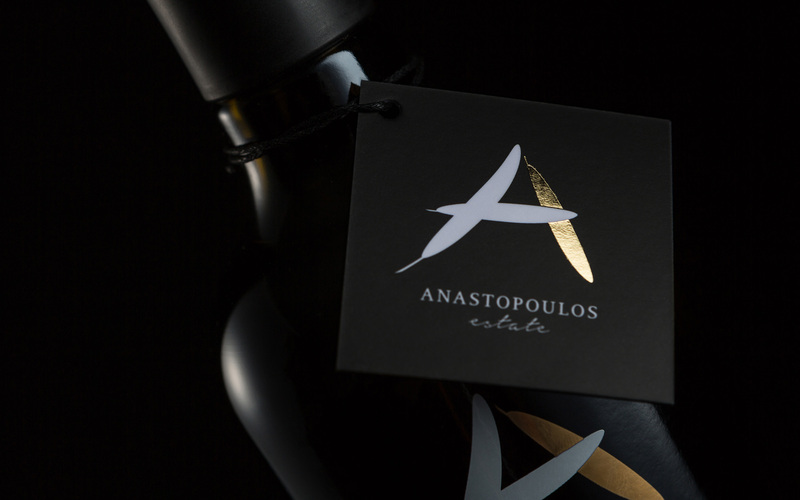 High-end consumers of Olive Oil, in export markets outside Greece exclusively. 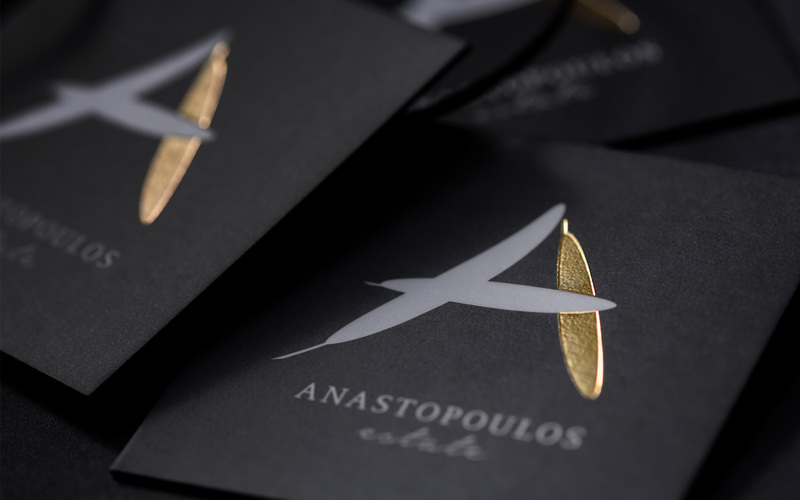 The brand’s needs called for a differentiated identity that at the same time would stay true to what the product itself was all about – pure, of superior quality and ultimately precious. In line with these imperatives, it was decided to go for a minimalistic aesthetic that would provide a solid starting point for the brand’s message. 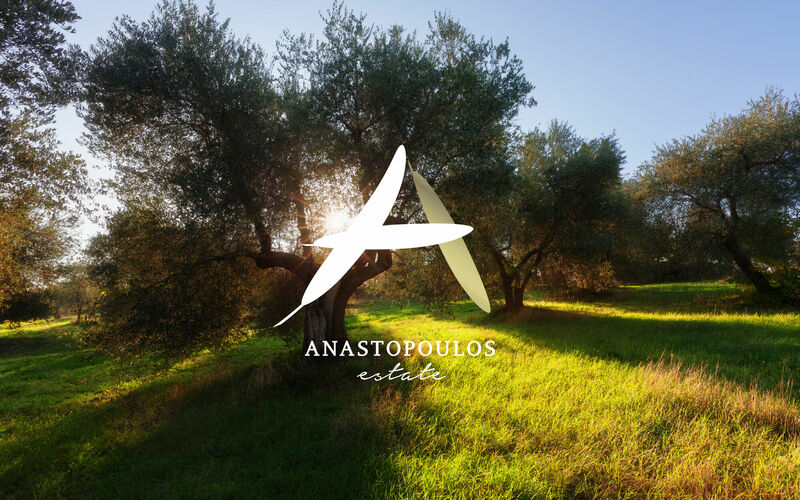 The well-recognized elongated shape of the Olive tree leaves was chosen to create the logo – three leaves overlapping in such a way so as to create the initial of the brand – a big, clear ‘A’. One of the three leaves was golden, a clear marker of superior quality. A script typeface was added for the word ‘Estate’ hinting at something personal, artisanal and of smaller quantity. 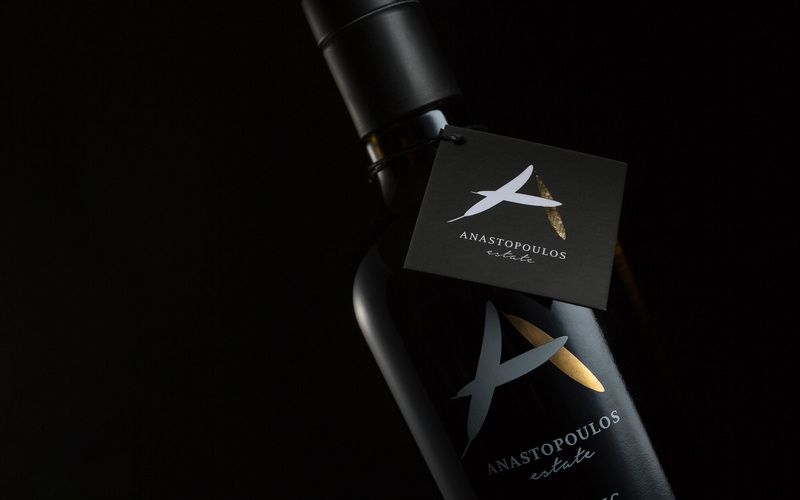 The bottle chosen – black and reminiscent of a wine bottle- added more nuances of preciousness, a takeout further enhanced by the seal-like carton placed at the neck of the bottle.